Spanning both Maricopa and Pinal counties, Apache Junction is a small town just outside the largest city in Arizona. Residents receive the best of both worlds, enjoying the peace and quiet of a small community and the convenience of a major metropolis. Apache Junction is perhaps best known for its wealth of historical sites and natural wonders. Its name comes from the fact that the Apache Trail, a major travel route that has been used by this region’s inhabitants for hundreds of years, meets US Route 60 in this town. 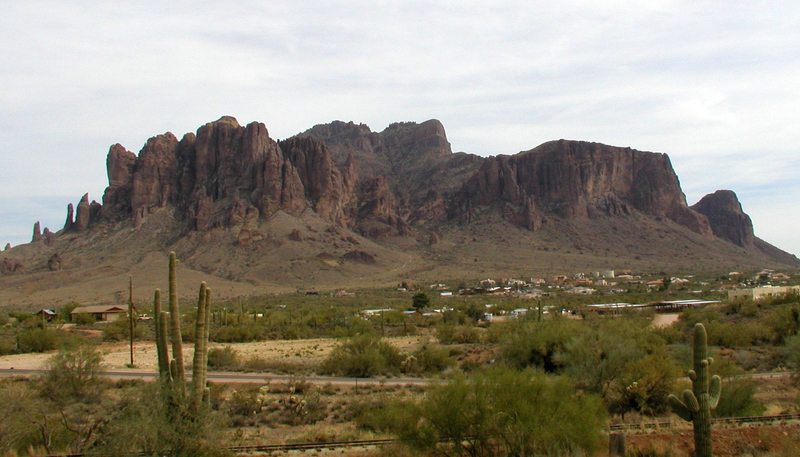 Apache Junction is also where the westernmost part of the Superstition Mountains extends. Not only does this provide a scenic view for all inhabitants and visitors, but given the historical importance of the Superstition Mountains, it allows residents to better understand the history of Arizona. The Superstition Mountains Museum recognizes this rich historical heritage. It contains barns, windmills, and a host of other structures and artifacts that help residents and visitors get in touch with the past and fully understand their community heritage. Phoenix Internet is committed to making sure Apache Junction residents can stay connected to the modern world even as they learn about the past. Our services extend throughout the town, allowing any homeowners in the area to purchase high-speed internet service in Apache Junction, AZ. Our prices range from $50 a month to $70, depending on the speed you request. Therefore, you should have no trouble purchasing quality Internet Apache Junction, AZ at a price you can afford. In addition to its historical richness, Apache Junction is notable for its thriving economy. The town is home to a wide range of industries, including retail, tourism, education, and medicine. All these industries rely on business internet service providers in Apache Junction Arizona to connect with customers, order inventory, and pursue all opportunities. As business internet providers in Apache Junction, AZ, we offer these and all other producers the Web service they need, so the town’s strong economy can keep humming along.